​September 8, 2016, 10 a.m. - 3 p.m. This workshop includes lunch, drinks, and handouts and presentations about invasive plants, control projects on state nature preserves and forests, and methods for controlling invasives on your land will be provided. A short field trip will be conducted in the afternoon to see invasive plants at Stratford Woods. Details HERE. 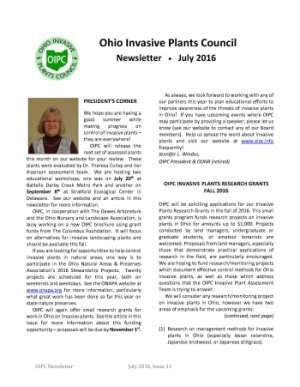 The July OIPC Newsletter is hot off the press! You can find it HERE in our newsletter archive. The Ohio Invasive Plants Council hosted another successful Research Conference on Thursday, February 11th, 2016 at the Nationwide & Ohio Farm Bureau 4-H Center in Columbus, Ohio. 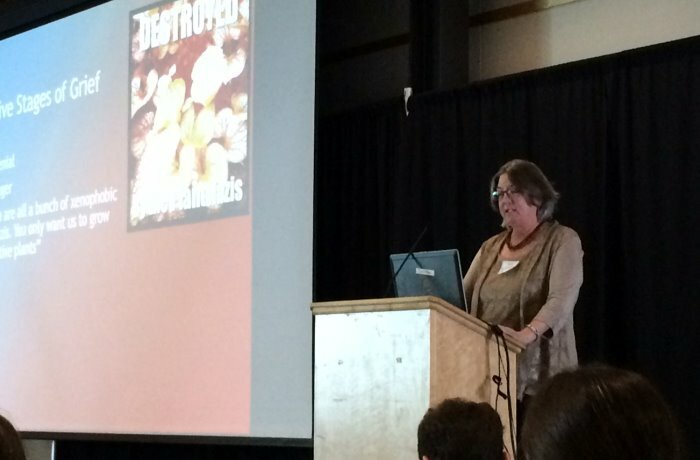 This conference focused on preventing, understanding , and combating plant invasions. 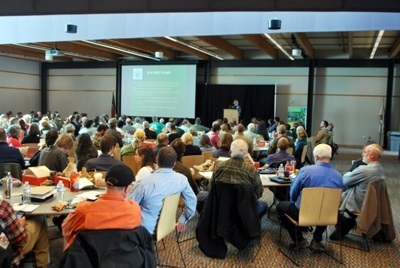 More than 250 people registered for the conference and there were 14 generous sponsors supporting the conference. OIPC also received a grant from The Columbus Foundation - the Dr. Thelma I. Schoonover Fund, which helped cover conference expenses. The program included seven (7) speakers, a poster session, and a short Annual Meeting at lunchtime to review OIPC's 2015 accomplishments. 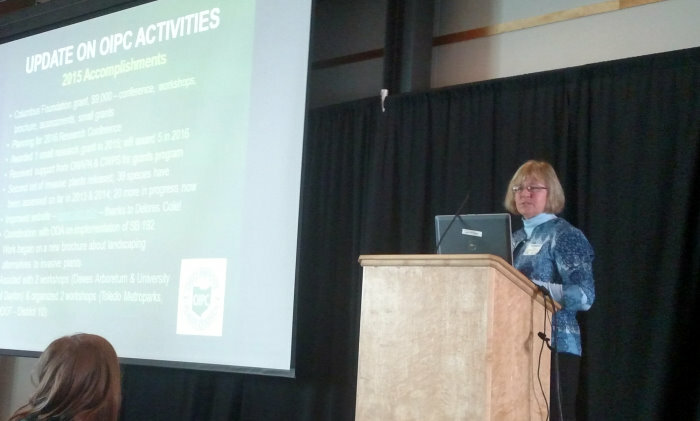 The keynote speaker was Sarah Reichard from the University of Washington Botanic Gardens, speaking on how industry, academics, and government can work together on this important issue. Box lunches and refreshments were provided by Panera Bread. 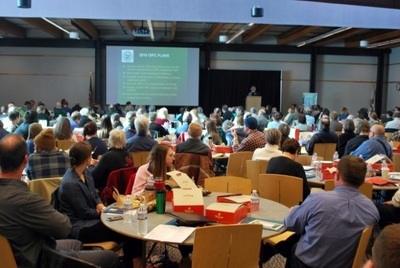 Click HERE for the conference program and HERE for the Annual Meeting agenda. 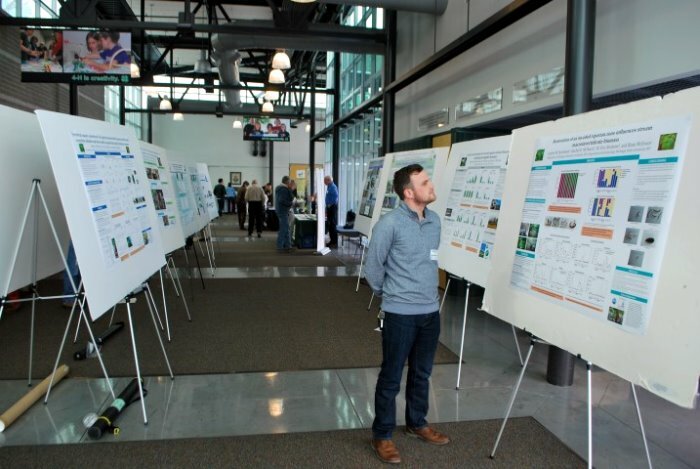 Two of the highlights of the Annual Meeting were to announce the 5 recipients of the OIPC 2016 small research grants program, see below and the 2015 Award of Recognition. 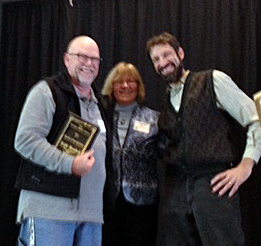 This award went to Keith Manbeck, a former OIPC Board member representing the nursery industry, for his outstanding contributions to improving coordination between OIPC and ONLA (Ohio Nursery & Landscape Association), particularly for the OIPC invasive plant assessment protocol. Click HERE for more on Keith's contributions. OIPC seeks your help in distribution mapping and in promoting public awareness of one of the newest invasives in Ohio: Kudzu! We encourage all Ohioans, including students, teachers, land managers, birdwatchers, backpackers, gardeners, wildflower enthusiasts, etc. to download the EDDMapS Smart Phone App and document any kudzu found growing in Ohio. 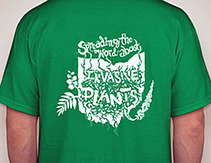 For the latest news and information concerning kudzu in Ohio, see the News article "Plant That Ate the South Is Here:Poster Tells Public to Watch Out for Kudzu" or request the new kudzu awareness poster from the Ohio Woodland Stewards Program at ohiowoods@osu.edu. OIPC participates in the Kroger Community Rewards program. 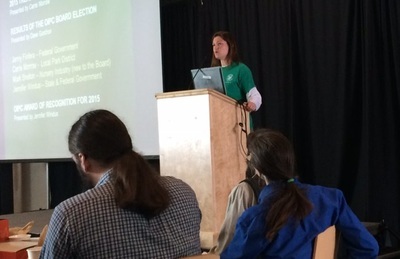 If you have not yet enrolled, OIPC would be grateful for your support. You can find enrollment instructions HERE. The OIPC Board is pleased to announce that the design by Kristina Gauer, a graphic designer in Akron, Ohio, has been selected for the T-shirt that celebrates our 10th Anniversary. Attractive T-shirts with this terrific design will be available for purchase for $15 at future OIPC workshops and meetings.